Fun at Earsdon Grange care home's summer fete. There was fun for all the family at Earsdon Grange care home as guests of all ages were welcomed to its summer fete, with live entertainment, craft stalls, balloon modelling and face painting. The home, which provides residential care for elderly people and those living with dementia, raised more than £500 from the day. The proceeds will go towards the residents’ fund, for extra treats like day trips. Manager Nicola Bell said: “We are delighted with the success of our summer fete. The weather was on our side and we had a great turnout and residents, families and guests on the day had a brilliant time. 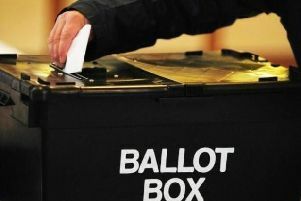 Who will get your vote in mayoral election?